The Google-specified Nexus One, released on T-Mobile USA's network in January, will launch on March 23, 2010 on Verizon Wireless, a source says. 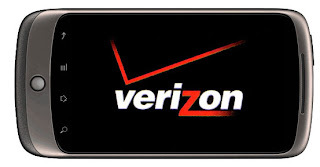 Verizon will introduce the Nexus One on the day the International CTIA wireless show begins, Neowin reports. The Nexus One is available for T-Mobile on an unlocked basis for a price of $529. Consumers can also order the phone through T-Mobile for $179 with a two-year contract.